The 2016 Rio Olympics have been nothing less than inspiring, with the United States having won (at the time of this writing) 46 gold, 37 silver, and 30 bronze medals. I think a collective “Wow” is in order. And while these numbers knock our socks off, what’s even more inspirational is the commitment to training each of the Olympians—whether from the United States or not—upheld in order to compete in Rio. Most of us are not going to the Olympics. But, all of us can learn something from Olympians like Biles that will help us achieve our own personal goals. Want to train like an Olympian? Or, a competitive, elite athlete? Or maybe just take the first step toward a lifelong goal? 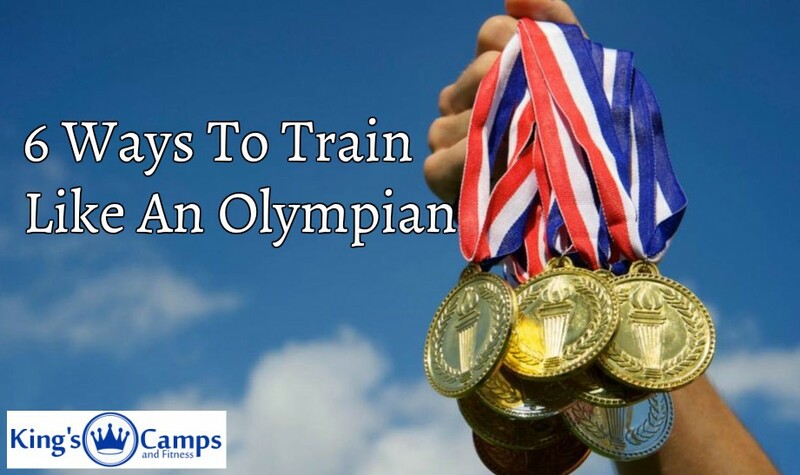 Read on for 6 ways to train like an Olympian. Create a goal, and write out the interim steps you need to meet it. Elite athletes don’t just randomly set out to go to the Olympics. They set a goal to get there, whether to medal, or to set a world record, and then set interim steps to mark progress and make their goal. 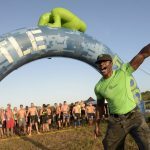 For example, if you’re training for a Spartan Beast (13+ miles), you might first set an interim step to start running 1 mile, then 3 miles, then 5, and so forth. Elite athletes know that when you break down even the loftiest of goals into smaller steps, that which seems impossible over time becomes obtainable. Determine your Motivation. Training is tough. Even elite athletes get down and tired of training. Knowing that you’ll likely hit these valleys at some point in your training, it’s important to determine ways to bring back your motivation. Think about what is inspiring you to achieve this goal. Are there tangible ways for you to be inspired? Maybe it’s a playlist you listen to while running, or a picture you focus on before you lift weights, or a meditation you do before a big event. Whatever it is, you’ll need something to get you through the rough training days and to pump you up before events. Train with Friends. Rarely do you see an elite athlete who trains by him or herself. Elite athletes tend to train with like-minded athletes (teammates, friends, etc.). Training buddies offer support, encouragement, and motivation. (There’s also that thing called “accountability.”) When training with others, it’s helpful to choose a group that includes people of various skill levels. The ones that have greater skill than you will challenge you to step up your game. And for those that have a lower skill level than you—you get the opportunity to motivate them. Find Support. Elite athletes need more than friends to help them achieve their goals. They also need a whole arsenal of people who support them. Whether that be hiring a dietitian to get your nutrition in balance, a masseuse who can help soothe tired muscles, or a meet-up group of like-minded athletes to chat about training tips—you’ll be more successful at achieving your goal if you set up reliable support. Cross-Train. Cross-training helps to avoid overtraining and to avoid injury. It also increases muscle performance, and keeps the mind engaged (too much of the same thing makes for a very bored mind). For example, if your goal is to complete the Alcatraz Sharkfest Swim (seriously—this is a thing! ), you don’t just need to practice in a pool. You can also do strength training, yoga, and running to develop the aerobic and muscular development you’ll need to swim 1.5 miles in open (shark infested!) waters. Develop a Disciplined Attitude. Like Simone Biles said, “…practice, practice, practice.” You can’t achieve your goal without practice, and showing up for practice takes discipline. You may not be able to devote the same hours of training as an elite athlete, but you can dedicate a regular time each day to something that brings you closer to your goal. The more you show up, the more you train your mindset, the more likely you’ll meet your goal. And finally, (ok, so maybe this should have been titled “7 Ways…”) remember to have fun. Don’t make yourself miserable with a goal that really doesn’t resonate with you. Find something that makes you happy, then find a challenge that support the best YOU. Regardless of the goal, when you’re having fun you’re more likely to perform at your best.